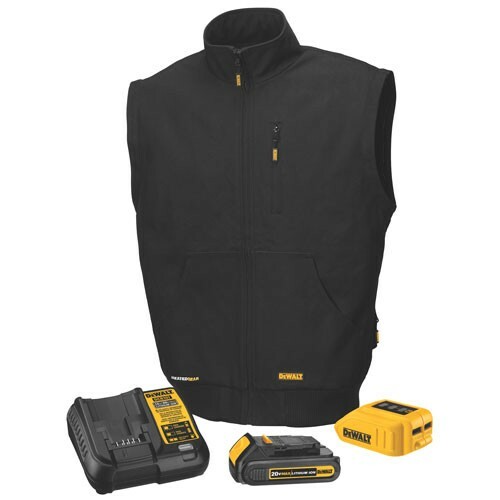 DeWalt is adding to their 20V Max/12V Max heated gear line with the addition of 7 new heated jacket styles. 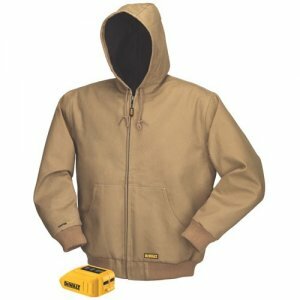 The expansion includes a new khaki heated jacket (with hood) color option, a 3-in-1 high-visibility heated jacket w/ hood, a heated vest with attachable sleeves, three new heated hoodies, and a woman’s heated jacket with a removable hood. 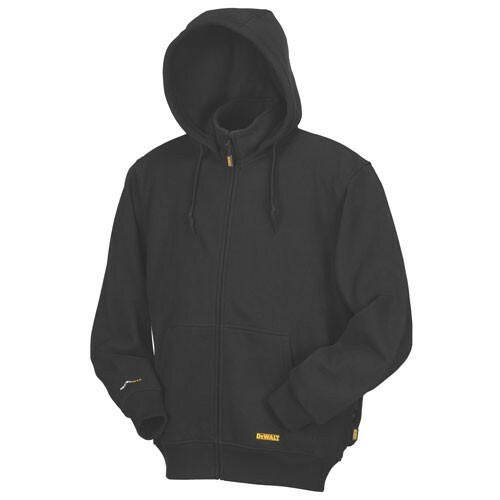 All of the heated jackets are wind resistant and all but two of the hoodies feature a water-resistant outer shell. The one heated hoodie that is water-resistant is the new high-visibility model. Most of the jackets feature 3 heating zones, with two in the front and one in the back, but the new heated vest and woman’s jacket feature an extra 4th heated zone at the collar. 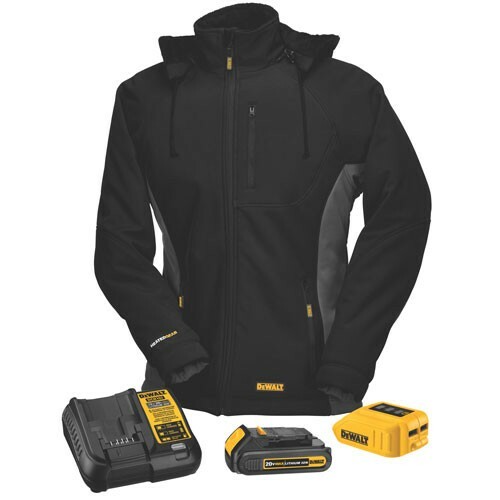 In addition to the new models, DeWalt has also improved their existing heated jackets with stronger metal zippers, reinforced stitching on the cuffs, a built-in wind guard, and changed from Velcro to metal snaps to attach the hood on models with the removable hood option. All of the kits will come with a 20V Max battery and charger, but the included USB power source can also be used with their 12V Max batteries. Bare heated jackets will include only the USB power source. The Jackets should be available later this month. .
Khaki Hooded Heated Jacket (DCHJ064): water- & wind-resistant cotton twill outer shell, 3 core heating zones, 4 total pockets, built-in hood with adjustable drawstrings. Black Heated Vest with Jacket Option (DCHJ065): water- & wind-resistant cotton twill outer shell, 4 core heating zones, 4 total pockets, removable sleeves for vest option. 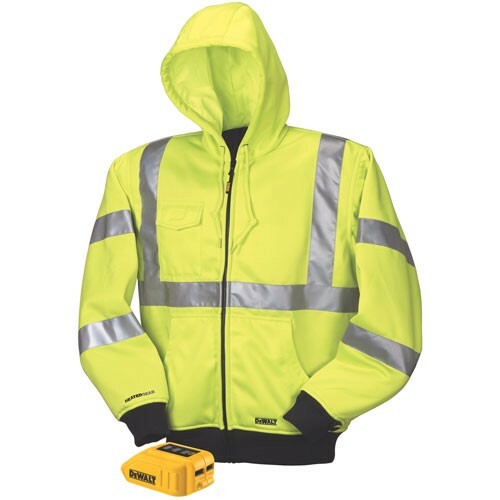 Class 3 High-Visibility 3-in-1 Heated Jacket with Hood (DCHJ070): durable water- & wind-resistant outer shell, 3 core heating zone, 6 total pockets, built-in hood with adjustable drawstrings. 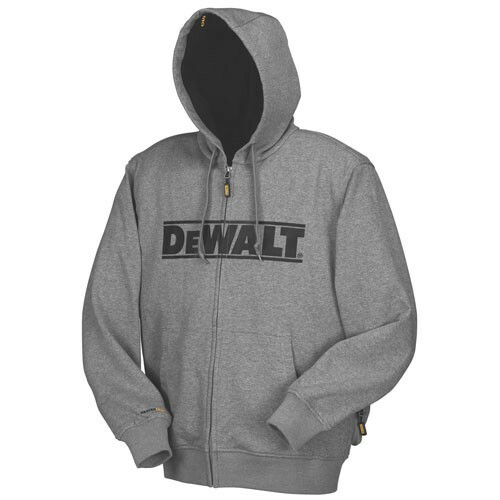 Heated Hoodies (Black DCHJ067B) (Grey DCHJ068B): durable wind-resistant polyester outer shell, 3 core heating zones, 2 total pockets, built-in hood and collar with adjustable drawstrings. 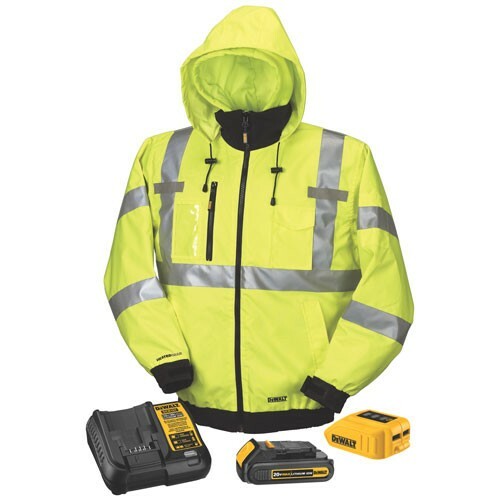 High-Visibility Heated Hoodie (DCHJ071B): durable water- & wind-resistant outer shell, 3 core heating zones, 3 total pockets, built-in hood with adjustable drawstrings.